I have always been a fan of the 2008 vintage since it exhibits pinot characteristics with pinpoint accuracy and has enabled wines to evolve gracefully and with added complexity every year. There is good balance between aromatic richness and fruit ripeness. 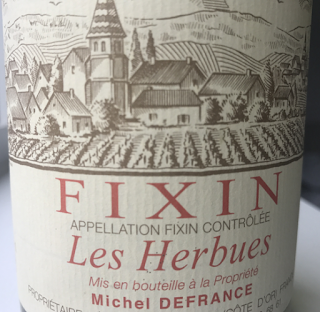 Wines like this from a modest domaine in Fixin sum up the appeal of the vintage. A good plum colour announces a wine with earthy, black cherry, portabello mushroom and roast meat aromas. The palate has plum fruit, savoury tannins, blackberries, leather and tangy undertones. This is a true Fixin and impressively ripe for 2008 from the northern tip of the Cote d'Or. At its peak of evolution this is a very enjoyable wine. Scores 70/100 which is a fine score for a village-level Fixin.